← Boosting Fleet of Fleece! 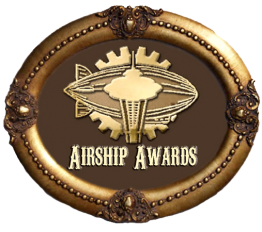 1) Readers comment below with your favorite steampunk book to enter. Readers can only submit one entry per household. US and International entries are welcome. 2) Enter between February 5th, 2017, through February 10th, 2017, at midnight EST (GMT -5:00). 3) Winner will be chosen via their comment number using Random.org. Winner will be contacted via email and must reply within 24 hours with their mailing address to claim their prize. Otherwise a new winner will be selected. I am of an older generation perhaps, my favourite Steampunk novels are Space Captain Smith and its sequels by Toby Frost. I forgot to mention that all the proceeds go to charity! So many favorites, but one that stands out above the rest: “Perdido Street Station” by China Mieville. My favorite would be Karen Memory by Elizabeth Bear. Would have to be one of the original Steampunk books, K. W. Jeter’s Infernal Devices.